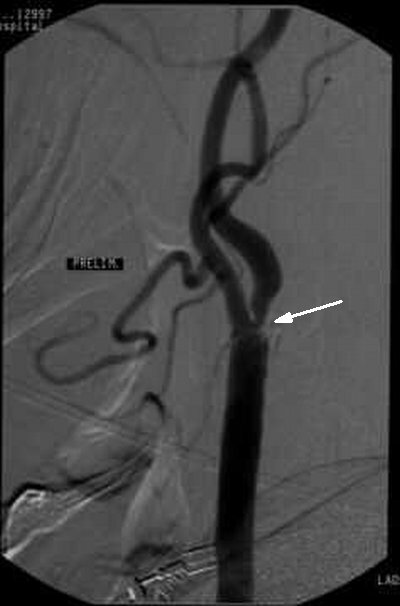 This pathway provides guidance on the imaging of adult patients presenting with a history of suspected transient ischaemic attack. 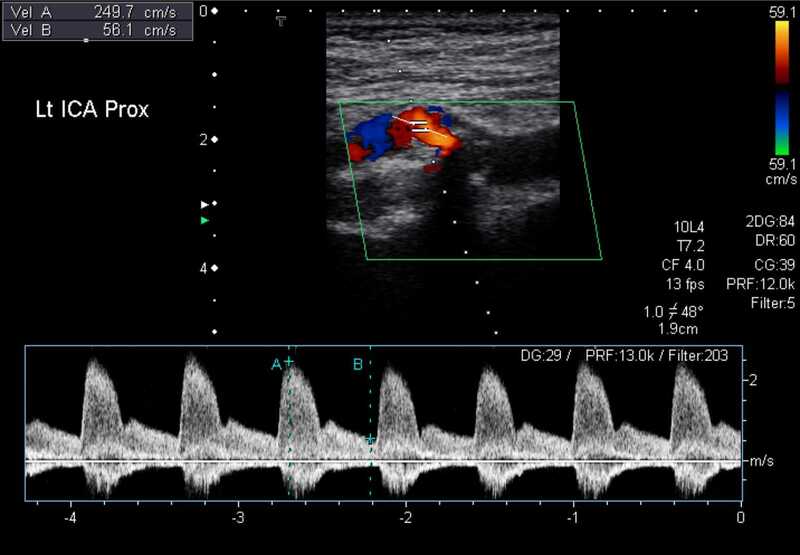 Image 1a and 1b (Carotid Doppler): Moderate amount of plaque at the origin of the left common carotid artery (arrow) extending into the internal carotid artery. 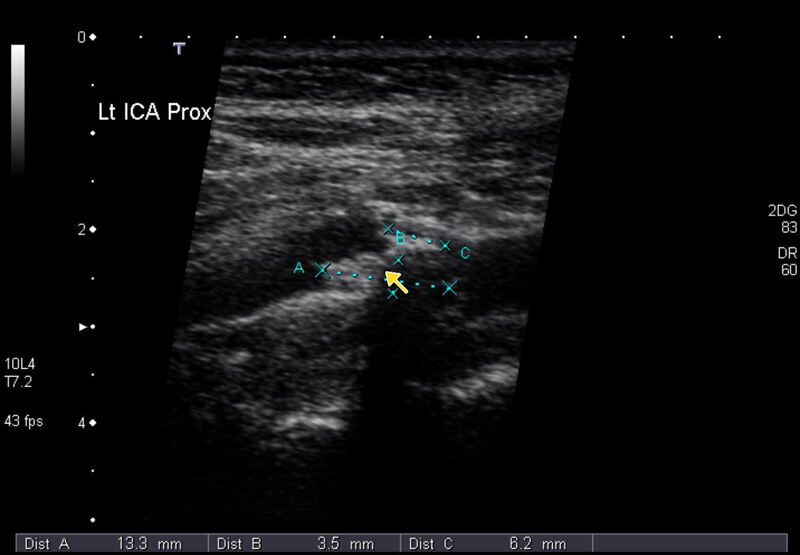 Velocity measurements indicate stenosis in the order of 70%. 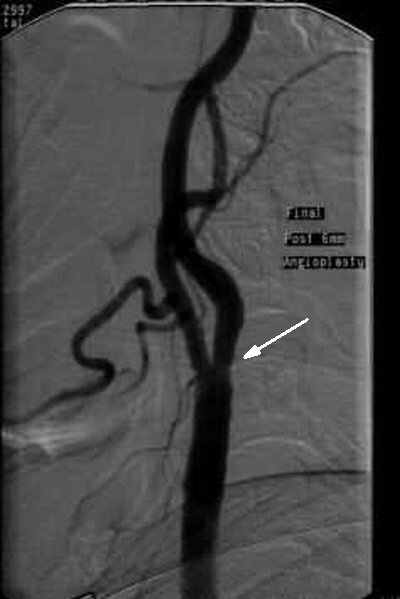 Image 2 (MR Angiography): Narrowing of the left middle cerebral artery with reduced flow (arrow). 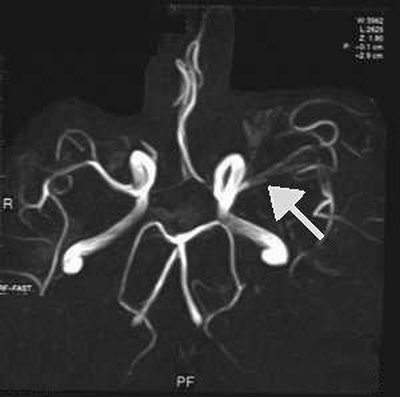 Image 3a and 3b (Digital Subtraction Angiography): Pre- and post-angioplasty views of a left internal carotid artery stenosis (arrows).